The promo we created for Verizon Connect in early 2018 required multiple screens on different devices to be removed, re-designed, translated and seamlessly integrated into the original footage after filming was carried out. This was no easy task, but something we were pleased to be able to offer as an added extra to the filming requirements. Overall we filmed 12 devices that needed to be replaced to showcase a particular feature of the Verizon Connect app. All of the devices were filmed on location with a template screen that could be replaced afterwards allowing us to adjust the design of the app as the design was updated by the client. For the template screen, we put together a website that created a solid green background and corner tracking markers that we could easily access on location. The website Green Background can be used to help perform tracking on any device within a browser. Initially we tracked the corners of each device using Mocha Pro before copying the tracking data into After Effects to start setting up each design. Making sure that each replacement matched the individual device’s resolution, we created separate designs for each screen taking into account how the device was used onset and what operating system the device was running. We used a master spreadsheet to keep track of each clip including what needed to be shown on each screen and at what stage the tracking and design for each screen was at. Some of the screens proved to be more difficult to replace, particularly when there was a lot of motion blur from a fast camera move, or where an actor’s hand was blurred when interacting with the device. 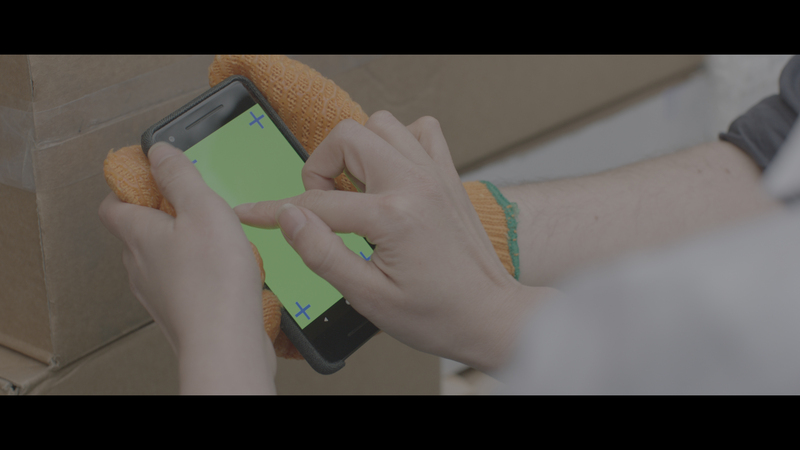 This required masking the actor’s hand out within After Effects or manipulating the replacement screen’s design frame by frame to get it to match up with the original device seamlessly. The reflections from the original devices also had to be retained, particularly when the device was being interacted with so that we could make the final composite more realistic. This was carried out by duplicating the original footage and blending it on top of the new screen design. The content of each device’s screen was intended to be translated so that the final video could be tailored for use in several countries. Initially we designed the European screen inserts, provided the client with a breakdown of what was happening onscreen for each device and then they were able to provide us with translated versions of each screen that we could add into new designs. Once all of the designs were completed, we created a setup to easily switch between each language using some expressions and a language selector within After Effects. In total we created 5 translated versions of each screen, giving the client much more use from the original video. The ability to replace each device’s screen allowed us to carry out the filming onset much more efficiently, keeping costs down and ensuring we could film much more each day. 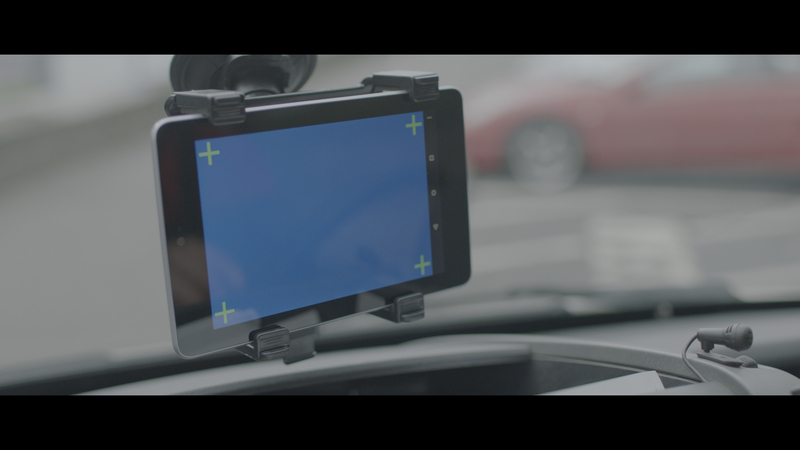 This also allowed us to be adaptive to client feedback and carry out any changes to the screen’s design after filming. By replacing each screen we were also able to offer multiple translations so that the same core video could be reused within several countries.